11th to 15 May-Esther Graduation in Washington DC????? 13 December-Speaking at Dinner Fundraiser dinner dance fundraising for women refuge center.AHT.ORG. 14 October -Black and Minority Ethnic (BME) students committee at the University of Sheffield will have Muzvare Betty Makoni as guest speaker on Monday 14th October 5-7pm to present on Black feminism and women’s rights. The event will be part of a series of events for Black History Month. Betty Makoni was honoured to be one of the guest speakers at the FOREST GATE Methodist Church Zimbabwe Fellowship – UK for the International women`s day. She will share her story and her work and offer advice on how we can protect children. She will raise awareness on need for church to help stop violence against women and girls. You are all welcome to attend and details are below. 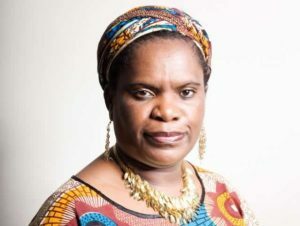 Betty Makoni was pleased to join WomenAround The Globe (WAG) at International Women`s day Celebrations to be held in London on 17 March 2012. She will be a guest speaker together with London`s most prominent women leaders. Betty Makoni was among speakers at Consultation Seminar on Child Marriage in London on 23 March 2012 .This consultation seminar is organised by Enabling Education Network (EENET),Foundation for Women’s Health Research and Development (FORWARD), and International Planned Parenthood Federation (IPPF). The event will provide a platform for information sharing, discussion and insights into on-going programmes and interventions to address child marriage. It will benefit policy makers, programme staff, students and researchers working on international development in the areas of human rights, violence against women and girls, and children’s rights. CNN Hero Betty Makoni was Guest Speaker at Black Women`s Conference –UK 2012- The Black Students’ Campaign represents more than one million students of African, Arab, Asian and Caribbean descent at a local and national level on all issues affecting Black students. Raising Awareness on HIV/AIDS, Children’s Rights And Virginity Testing, Mhandara days, Osborne Dam, December 2002.